Vive Cosmos, HTC’s newest consumer-driven VR headset, is designed to bring a new audience to VR. HTC leaders also want to reach people that find current systems inaccessible. That’s why it’s got inside-out tracking and improved design. It also has, in HTC’s words, Vive’s sharpest display yet. But VR enthusiasts won’t be left out of the mix. Vive General Manager Daniel O’Brien suggested as much to me at MWC this week. HTC still isn’t saying much about Vive Cosmos. I asked if HTC was working on another high-end headset for people who bought the original Vive. He suggested Cosmos is for those buyers. I also asked if the headset’s modular aspect would extend beyond platforms. Cosmos will run on both PC and, HTC hints, smartphones. O’Brien said yes, without saying much else. It is better if I just post the transcript rather than try and explain the tango for myself. O’Brien: Everything that you’ll see from us over the next couple of years, whether it’s on the enterprise and B2B side or whether it’s on the consumer side is just looking at the friction points and trying to take them away. That’s seamlessly how we’re trying to approach the market. Feltham: So I would say there’s these three categories at Vive right now, then. That’s the enterprise, Cosmos represents, you’ve said before, a chance to grab a new audience, people that aren’t into VR yet. and then there’s this thing in the middle which is what the original Vive is: high-end, gaming, enthusiast. Is that something that you’re still working on in the hardware side and we’ll see the next high-end, gaming, enthusiast headset? O’Brien: We’ve really approached Cosmos in a really interesting way and the story’s going to continue to evolve. Feltham: So could be the next high-end headset too? O’Brien: This is going to be a product that has scalability. Feltham: And that could go up or down? O’Brien: Yes. Across multiple customers. And we’ve approached that product really specifically to approach multiple markets and approach those problems. Feltham: What are the modular aspects? Would I be able to potentially swap out the screen one day? O’Brien: We’ll have more to say. Feltham: More than just what powers it? Feltham: So, potentially, one day if I wanted eye-tracking I could just plug it in between the lenses, potentially? O’Brien: There’s a lot more to come on that product. “This product is going to be able to grow and support our premium VR customers that we have today and the customers we expect to have tomorrow. And that product’s going to evolve over a year,” O’Brien concluded. That’s about all we’re getting out of HTC for now. But, with GDC coming up this month, new Cosmos info is hopefully right around the corner. The post HTC Leaders Hope Modular Vive Cosmos Will Appeal To Multiple Markets appeared first on UploadVR. It’s a very long shot, but Persona 6 on PSVR could one day be a thing. 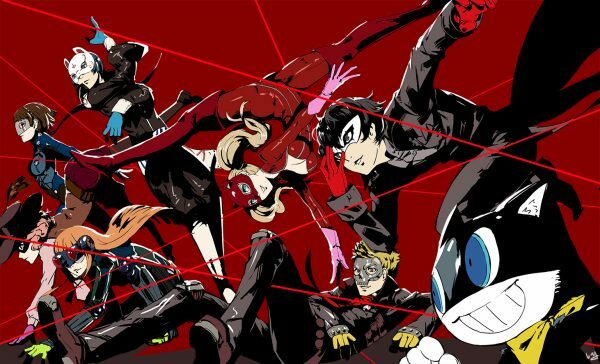 Series developer Atlus recently launched a survey for its Japanese fans. The questionnaire wants to know all the usual things about your gaming habits. But one of the later questions is raising eyebrows. It essentially asks what new Persona games you’d like to see in the future and on which platforms. There are ideas like text adventure spin-offs and board games. Most excitingly, though, there’s mention of a ‘Completely new ‘Persona 6”. You can tell Atlus you want it on PSVR as well as other platforms like PC and Switch. No doubt most people are excited about the possibility of getting the series on Switch. But, for us, the mention of PSVR is tantalizing. The Persona series is one of the most popular RPGs around. It’s known for its incredible anime style and eclectic cast of characters. The thought of combining those elements with VR has our hearts racing. Still, we wouldn’t hold our breath. Questionnaires like this are merely designed to gauge interest. There’d have to be an overwhelming number of votes on the PSVR side to get Atlus to consider making the game in VR, no doubt. It also doesn’t confirm Persona 6 is even in development, just that it’s a mere possibility. This wouldn’t be Persona’s first VR outing, though. The game’s recent dancing spin-offs include add-on PSVR modes. They allow you to watch characters dance for your pleasure. It’s not the most exciting use of the medium to say the least. The post Atlus Survey Asks If You’d Want Persona 6 On PSVR appeared first on UploadVR. British rap Artist Giggs Uses AR Street Art to Promote new Album BIG BAD… is Giggs' latest album release. I think we’d all agree that one of the things VR does best is build bonds. Think about how attached you felt to Astro as you journeyed through Astro Bot, or the connection you made with Quill in Moss. Ghost Giant looks like the latest game to explore this promising space. And it’s coming very soon. Developer Zoink Games recently confirmed that Ghost Giant will launch digitally on PSVR on April 16th. Not only that but publisher Perp Games will launch a physical version of the game in the EU on April 19th. Boxed editions for North America will follow at a later date. In Ghost Giant you play as, well, a ghost giant. At the start of the game you befriend a small (or, rather, normal-sized) boy named Louis. As you build a bond with him you begin to explore the world of Sancourt. It’s a visually splendid little town that reminds us of Animal Crossing. In VR, though, you’ll connect with characters and solve puzzles. It helps that it looks impossibly adorable. We’ll be really interested to see what Zoink brings to the table here. As great as Astro Bot and Moss are, they’re both titles that focus on traditional gameplay just as much as they do relationship. We may be wrong but Ghost Giant’s trailer makes it seem like it tips towards the former. We’re hoping Zoink discovers new gold to mine in these uncharted waters. There’s no word on a possible PC VR version of the game right now. We’ll keep an eye out, though. The post Ghost Giant Promises VR Bond Building Next Month appeared first on UploadVR.